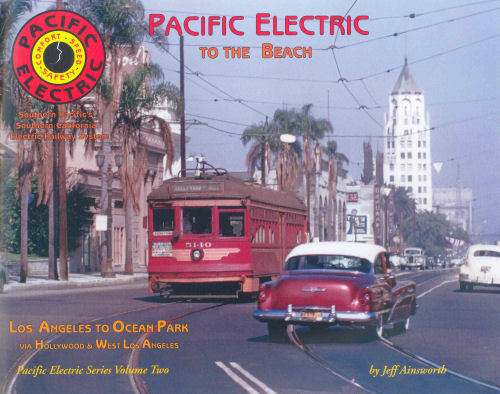 Pacific Electric, was Southern Pacific's Los Angeles area electric railway system. On this journey the PE's 600 class car numbered 600-759, more commonly known as the "Hollywood Cars" are covered. Photos are shown from Los Angeles to Ocean Park via Hollywood and West Los Angeles. Soft cover.